Conservative MPs used their majority on the House public safety committee to quash opposition efforts to tighten rules on when and how the Canadian Security Intelligence Service can use new powers it would get under the government's bid to expand its mandate. Over the course of two hours spent on a line-by-line review of bill C-44, dubbed the Protection of Canada from Terrorists Act, the Conservatives voted down each and every amendment emanating from the opposition side of the table. Among the rejected recommendations was an NDP-backed proposal that would have required CSIS to get a warrant for any extraterritorial investigation that would require such authorization if conducted in Canada. The Conservative majority also put the kibosh on an attempt by all three opposition parties present to remove wording that states judges considering such applications should do so "without regard to any other law, including that of any foreign state." New Democrat public safety critic Randall Garrison also wanted to expand an exemption that could allow the identity of a protected source to be disclosed. And he sought to add a provision explicitly allowing those defending themselves against testimony provided by a witness whose identity has been withheld to have counsel present, provided they have the appropriate security clearance. Meanwhile Liberal MP Wayne Easter wanted to write in a requirement that those witnesses be present in Canada for the duration of proceedings. The New Democrats also proposed a mandatory review of the new law in two years. And they recommended that CSIS file annual reports with the Security Intelligence Review Committee on the use of the new warrant provisions, including the number of applications filed and granted, as well as an overview on the activities conducted and results achieved. An NDP amendment that would have tweaked the criteria for SIRC membership to explicitly require that members of the independent oversight panel have "significant experience" in the administration of justice, national security and other relevant area was deemed inadmissible by the chair. New Democrat Leader Tom Mulcair has raised concerns over several recent SIRC appointments, including former Reform MP Deborah Grey, over what he feared was a lack of experience in the area. He has also lodged objections over potential conflicts on the part of other nominees. The committee also dealt with amendments submitted by Green Party Leader Elizabeth May. Among her suggestions: new wording to specify that any promise of confidentiality to sources would have to be both explicit and written, and would include a provision to make sure the preliminary security assessments that trigger such investigations "are obtained in accordance with international law," including the 1984 Convention Against Torture. She also wanted the public safety minister to be obliged to consult with his counterpart at Foreign Affairs before signing off on an application to conduct investigations abroad — a recommendation also put forward by the Liberals. Although May is not a member of the committee, she is nevertheless allowed to propose amendments through the chair, although she was not permitted to take part in the ensuing debate or vote. Not one Conservative MP supported a single opposition amendment. Both the New Democrats and lone Liberal Easter voted for several clauses — but Easter ultimately voted for the bill itself, which now returns to the House unchanged. The anti-terrorism bill was introduced last month just days after the Oct. 22 attack on Parliament Hill, but was not a direct response to that incident, as it had been in the legislative queue for months. Both the New Democrats and the Liberals balked at the deadline imposed by the government at committee. 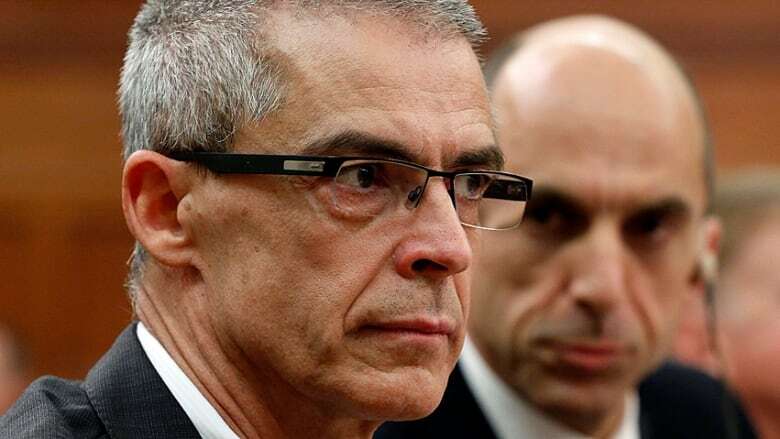 MPs spent just two meetings — or four hours — hearing from witnesses, including an hour each with Public Safety Minister Steve Blaney and CSIS Director Michel Coulombe. Privacy Commissioner Daniel Therrien had asked to appear, but was not invited to testify. Instead, he filed a written submission outlining his concerns, which he also discussed at the House privacy committee. Now that clause-by-clause view is complete, the bill could be back on the Commons floor by Wednesday, and will likely go to a final vote by early next week. More police and security agency powers: Is this who we are?